A Locative Media database and a Lab around Location Based Games, Walking Documentary, Walking Cinema and Mobile Learning. 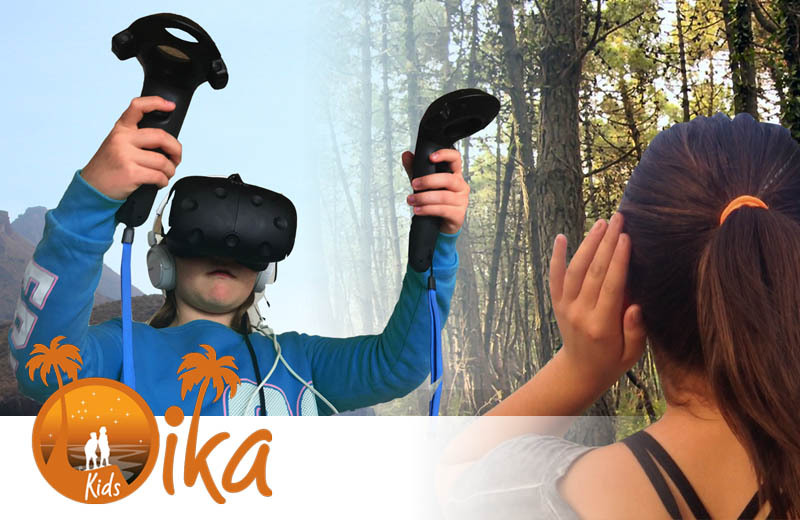 We are launching in Spain, UK and the US the Oika Kids workshops, in collaboration with the scientist Rich Blundell founder of the Oika Project. We created a set of transformative experiments for kids connecting virtual reality with the outdoor explorations of the natural world. We are collaborating with the scientist Rich Blundell in the stunning creative project Cosmosis, exploring new ways to teach the wonders of the Universe with Art, Science, technology and wisdom. Check oika.com and omniscopic.org and discover Earth Stories, VR contents and workshops with hammocks! We have created probably the first Walking Audio Book of all times called Deep Time Walk with the Schumacher College in England, the cradle of the Gaia hypothesis from James Lovelock. 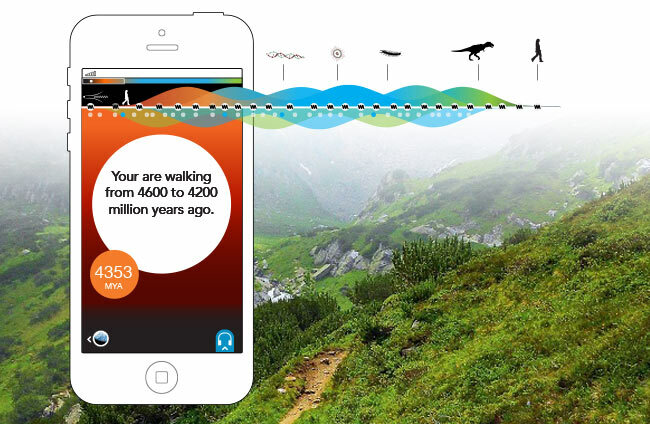 Each one of your steps is one million years along the evolution of life on Earth. Let's feel our location in Time on Earth. The amazon rainforest is in danger. 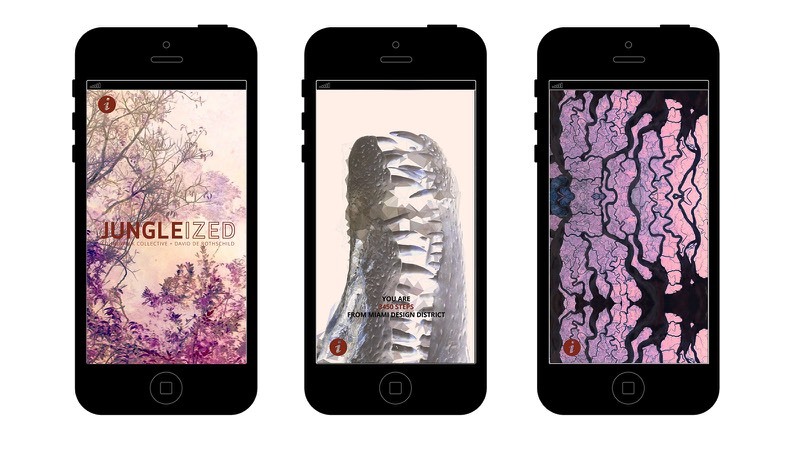 The app Jungle-ized we created with Soundwalk Collective and Francisco López features a locative 3D sound composition in Times Square (2016) and Miami (2017). Take a walk as if you was there with your ears, the forest is in us, at each breath, we have to take care of it. 2010 - Glow How Do You Feel ? 2002 - Can you see me now ? 2013 - Send Me to Heaven! Create your own locative story or game ! Create Locative Soundscapes from the web, a very solid and clean solution. We love it! Create complex locative soundscapes for Android. We love it! Create locative soundscapes for iphone and Android. Create Locative Soundscapes from the web or you mobile with radio & mixer tools. Create colaborative maps with OJOVOZ, upload images and voice messages from the Android app. 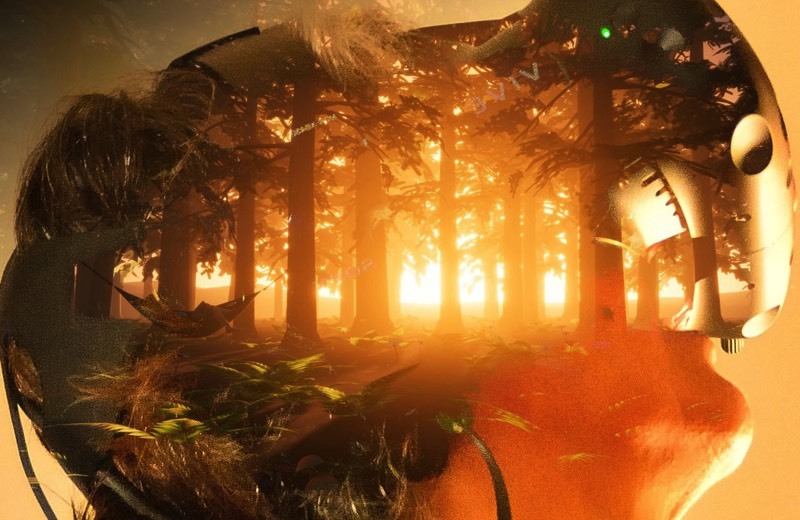 Create complex and powerrful Locative soundcapes with Unity game engine. My name is Fred Adam and i am managing this database. Please submit your project if you believe that it is related to geolocation and creativity in the field of art, science, games, documentary, education, cosmology or whatever. Check the GPS Museum Facebook page if you want to contact from FB and discover more locative projects.